Boomwackers are brighly colored plastic tubes tuned by length to musical notes. 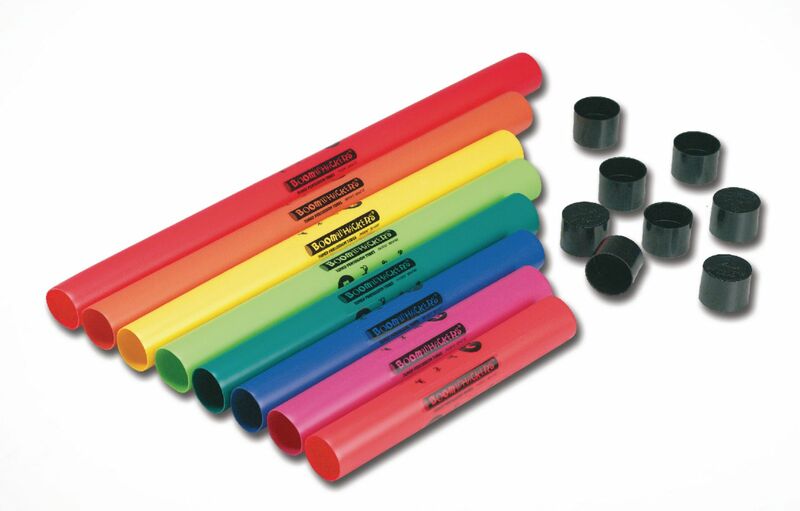 Tubes of the standard or higher octave ranges range in length from about 1–2'. Includes eight tuned tubes, basic instructions, and reusable tote bag.